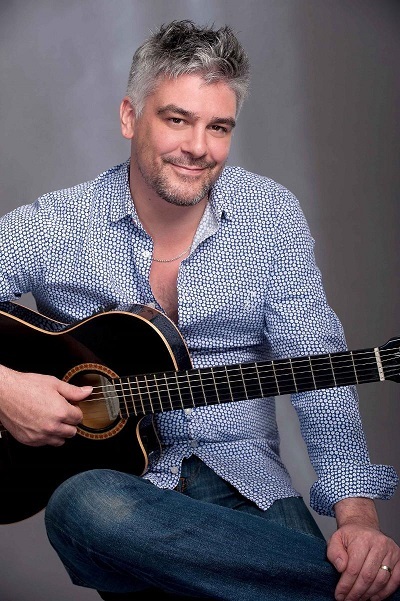 Music Revival presents the renowned Cape Town based classical guitarist James Grace in two recital programmes in KZN this month. In one of these, the three-time SAMA nominee teams up with pianist Christopher Duigan to create a unique evening of music. Their programme together includes many of their own duo arrangements and improvisations on classic melodies, jazz standards, Latin milongas and Spanish classics. Their session will include evergreens Fields of Gold, Tico Tico, plus and individual guitar solos. Duigan’s own composition, Indigo, a favourite at any Duigan and Grace concert, will complete the programme. Flying solo in his second programme, the guitarist will play works which feature in his brand-new album, Andaluza - Music of Spain III. Continuing his exploration of original and transcribed Spanish music for the guitar, James will perform Joaquin Turina's evocative Fandanguillo, one of the first works originally commissioned by and composed for Andres Segovia. Also included in the programme are a selection of works by Eduardo Sainz de la Maza, brother of Regino Sainz de la Maza who was the dedicatee of Joaquin Rodrigo's Concerto de Aranjuez. Rodrigo also features in the programme, with the virtuosic and hauntingly beautiful Invocacion y Danza, a homage to Manuel de Falla. For this concert tour and in the recording studio, James plays on a locally-built classical guitar by leading South African luthier Hans van den Berg. The CD Andaluza – Music of Spain III will be on sale for R150. All major forms of payment accepted. Booking details for each concert are: booking@musicrevival.co.za or 083 417 4473 (sms or WhatsApp only). Grace and Duigan's duo programme can be heard first at Grace Hall, Ashton International College in Ballito on January 25 at 19h00. Tickets R150 include refreshments at interval. Safe parking is provided and seating is unreserved. The duo programme will be reprised on January 27 at 11h30 at the Tatham Art Gallery in Pietermaritzburg. Tickets: R80. Secure Parking. Booking is preferred. Music Revival Sunday concerts at the Tatham Art Gallery will now offer free tickets for children and students. Children under 16 should be accompanied by an adult and booking is still preferred. A third performance of James Grace and Christopher Duigan's duo programme can be heard at St Agnes Church in Kloof on January 29 at 19h30. Tickets at R130 include refreshments at interval. James Grace performs solo at Highgate Wine Estate at Piggly Wiggly, KZN Midlands on January 26 at 18h00. Tickets R130. Booking is essential: booking@musicrevival.co.za or 083 417 4473 (sms or WhatsApp only). Book for dinner afterward at MENU Tel. 082 817 8796.